Ken Foress' 1952 Mercury Convertible of Lansing, Michigan. In 1959 local pinstriper and custom painter Jerry Drake, aka Spider the Crazy Painter, gave the car a flame paint job at Cooper Body Shop. Rudy Rodriguez’s 1954 Ford of Lansing, Michigan. Rudy's Ford was restyled by Cooper Body Shop around 1956 - 1957. Terry Smith's 1954 Ford of Lansing, Michigan. Terry was a member of the Capitol City Customs, and his Ford was restyled by Cooper Body Shop. The work was done sometime around 1956 - 1957. 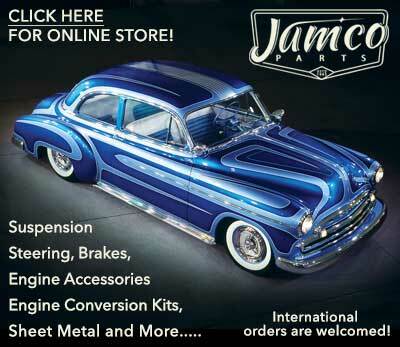 Jerry Drake's 1955 Ford Fairlane of Lansing, Michigan was restyled by Ed Blaisdell of Blaisdell Body Shop. Jerry is a well known Michigan pinstriper that operated under the name "Spider the Crazy Painter." He bought the Ford, known as "India Ivory" in 1957, and it went through several modifications between 1957 and 1959. Russ Edgers' 1957 Ford Convertible of Lansing, Michigan. In 1959, Russ' Ford received a scallop paint job by Jerry "SPIDER" Drake and Larry Cooper at Cooper Body Shop. Jerry Drake's 1957 Ford Fairlane of Lansing, Michigan. Jerry was a custom painter and pinstriper, operating under the name "Spider the Crazy Painter". He was also the President of the Injectors of Lyons car club. Jerry's Ford, known as the Candy Cane, received a custom paint job by Jerry and his buddy Dave Edmonds in July of 1960. Dell Chandler's 1960 Pontiac Ventura of a Lansing, Michigan. Dell's Pontiac received a scallop and panel paint job by Jerry Drake and Larry Cooper in 1960. Lansing is the capital of the U.S. state of Michigan. Michigan is widely known as the center of the U.S. auto industry. In 1903 Henry Ford founded Ford Motor Company in Detroit. 10 years later he introduced the assembly line, an innovation that reduced the Model T’s chassis assembly line from 12.5 to 1.5 hours. Ford Motor Company could now produce affordable cars at a faster pace than anyone else. In 1914 Henry doubled the pay rate for the factory workers, and he reduced their workday from nine to eight hours. The day after the “$5 Day” was announced, an estimated 10,000 people lined up outside Ford’s employment office hoping to be hired. Henry eventually filled Detroit with automotive workers, and in the 1930s his River Rogue Complex employed over 100,000 hard-working men and women. 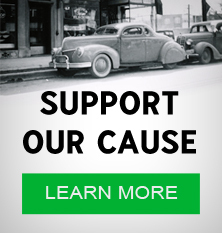 Even though Detroit and Michigan boomed with automotive workers, it took almost half a decade before Ron Clark and Bob Kaiser would open up what is known as the first custom shop of Michigan. 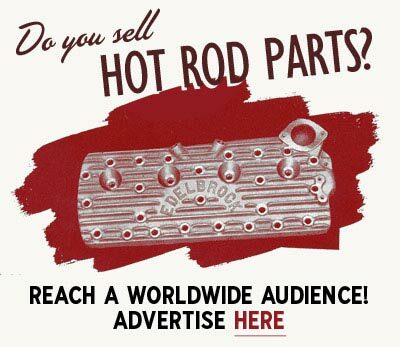 Clarkaiser Customs Shop was established in 1948, the same year as Robert Petersen’s first issue of Hot Rod Magazine went into print. As the hot rod and custom scene spread across the country, the Motor City would breed several talented builders such as Mike and Larry Alexander of the Alexander Brothers fame. The capital of Michigan, Lansing, is located 100 miles West of Detroit. While Detroit had Henry Ford and his Ford Motor Company, Lansing was the home of Ransom E. Olds and his Olds Motor Vehicle Company. By the mid 1950s the hot rod and custom craze had also reached the state Capital. Back in the 1960s there were two custom car painters and pinstripers in Lansing; Jerry Drake and Gary Glenn. Jerry and Gary were bitter rivals. 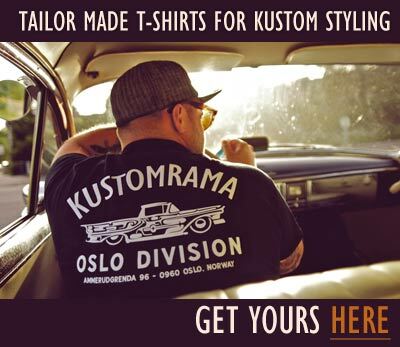 Subscribe to our newsletter and receive updates on Lansing and other subjects featured on Kustomrama. If you have additional information, photos, feedback or corrections about Lansing, please get in touch with Kustomrama at: mail@kustomrama.com.